Several prominent news sources are again blowing a cloud of speculative rumor-mongering that claims Apple's iPhone sales are —perhaps! —in desperate straits. Revised revenue reports from just five firms--out of Apple's 200 primary suppliers--are at the core of these reports, so take a look at how flimsy these conclusions are. Troubles at component producers in Apple's supply chain have once again been cited as evidence that iPhone demand must be weaker than expected. This was very wrong last year, and every year for at least the last five generations of iPhones. In fact, it was five years ago that Benedict Evans tweeted, "after the past couple of years, people really ought to have learned that supply chain production volume rumours for iPhones are worthless." This year, something new finally happened. 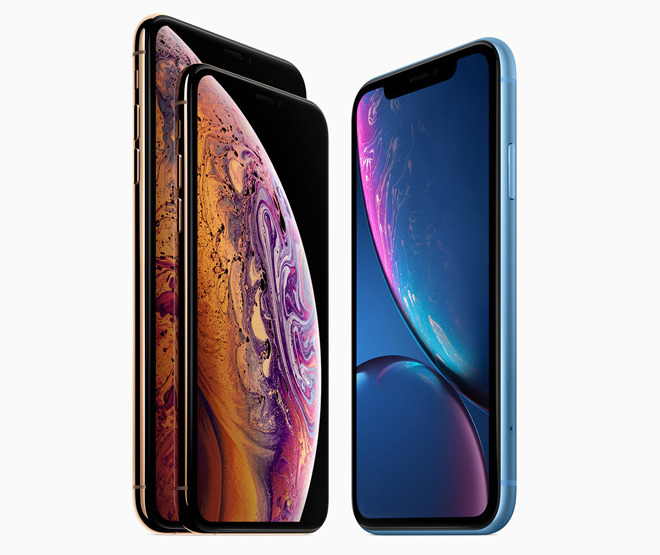 Writing for CNBC, Sara Salinas wrote the piece "Apple analysts have a long history of misreading weak iPhone demand based on supplier rumors," which detailed the history of how analysts and journalists have been consistently wrong in trying to interpret data from Apple's supply chain. "Stop me if you've heard this one before," Salinas wrote. "An Apple analyst cuts iPhone shipment estimates based on weak supplier guidance, sending the company's stock tumbling." Just a few days later, Salinas relapsed, writing up those very same addictive clickbait rumors for CNBC. "Rumors of weak iPhone demand heat up as at least four Apple suppliers cut revenue forecasts," she wrote, as if she hadn't just warned a few days earlier that "Apple's network of suppliers is deep and complicated. One supplier cutting its outlook doesn't necessarily mean iPhone demand is downIf history is any guide, analysts and investors tend to get unnecessarily spooked over one-off iPhone supplier rumors." Collaborating with Lauren Feiner of Reuters, Salinas compiled a Wikipedia-like listing of specific suppliers who had all cut their forecasts: AMS AG, Qorvo, Lumentum, and Japan Display. Two writers from Bengaluru for Reuters had previously outlined about $75 million in reduced revenue expected by Lumentum, which builds the vertical cavity surface emitting laser (VCSEL) used in iPhone X's TrueDepth Face ID system, and postulated that this was connected to profit warnings from IQE, which builds silicon wafers for Lumentum. Vibhuti Sharma, another Reuters writer from Bengaluru, also referenced a less defined problem of "lower demand from smartphone makers" from Japan Display, which makes the high-end LED screens used in iPhones. Sharma also separately detailed for Reuters that RF chipbuilder Qorvo had cut its revenue forecast, citing "recent demand changes for flagship smartphones" from a major customer. And Mark Gurman of Bloomberg detailed a roughly $100 million revenue shortfall at AMS AG, which produces ambient light sensors for iPhones. "The bad news keeps piling up for Apple Inc. ahead of the crucial holiday season," Gurman stated, referencing those three other suppliers and noting that Apple is the "largest customer and biggest revenue driver for all four, according to data compiled by Bloomberg. Qorvo gets 36 percent of revenue from Apple, Lumentum generates 30 percent, AMS receives more than 20 percent and Japan Display gets 55 percent." Bloomberg's data on these suppliers' dependence on Apple weaves its way into other reports about these firms, but none mention that this data is from 2017, not some real-time data that pertains to today's shipments of the latest iPhone models. Apple changes its suppliers regularly, and its reliance upon a specific supplier is not a simple constant. Let's take a look at specifics, but first, consider how this all happened before. Today's stories surrounding these five iPhone suppliers may sound like solid reporting work. But to many, it also sounded like solid journalism when Bloomberg confidently announced earlier this year in April that slowing growth at Samsung's OLED-making Display Panel unit clearly meant that iPhone X was in big trouble, because Samsung was Apple's sole supplier for its displays. That was just part of the "bad news for Apple" that Bloomberg was "piling up" earlier this year regarding iPhone X. It all turned out to be fantastically wrong. Samsung was indeed making iPhone X's OLED panels, but it was also supplying OLED screens for its own Galaxy S9, which Samsung itself admitted to have "lower than expected" sales even as Apple announced that iPhone X remained its top-selling phone, achieving quarter after quarter of strong iPhone sales in a weakening industry. Further, it wasn't just a matter of Bloomberg drawing the wrong conclusion from the facts at hand; Gurman's report actually avoided any mention of the fact that Samsung's display unit had also detailed that it was having problems in both LCD and OLED, and that it was due to intense competition from other suppliers, rather than due to cuts from customers like Apple. Analysts, journalists, and bloggers didn't critically think about any of that, they merely repeated the story Bloomberg crafted—one that avoided mention of facts that undermined its slanted narrative that was ultimately totally wrong. Is Lumentum important to Apple? So what about this week's supplier panic? Bloomberg data on the importance of Apple to these suppliers in 2017 (detailed above) may appear notable, but it doesn't mean those suppliers are all necessarily as important to Apple today. Lumentum, the VCSEL maker that recent reports have cited as being so critical to Apple's Face ID products —which now include all three of its new flagship iPhones as well as the new iPad Pro —is not even listed in Apple's 2018 Supplier List, and neither is Lumentum's wafer supplier IQE. That may be related to the fact that Lumentum is only one of Apple's VCSEL suppliers. In fact, the firm is a direct competitor to Finisar, the company that Apple invested $390 million of its $1 billion Advanced Manufacturing Fund into last December to help it build a Texas manufacturing facility dedicated to VCSELs, specifically aimed to provide Apple with access to a supply of advanced components that were slated to begin "shipping components in the second half of 2018." As a key supplier to Apple, Finisar's business prospects were so attractive that II-VI Incorporated just paid $3.2 billion to acquire the company a week ago. It's unlikely that would that have happened if Finisar's VCSEL business were actually collapsing due to poor sales of the new Face ID iPhones. The fact that Lumentum was getting 30 percent of its revenues from Apple last year and is now reporting that it is facing a revenue shortfall attributed to a customer that's "one of our largest" isn't an iPhone XS or XR surprise. This should be an expectation, based on the publicly known facts of the last year. Apple invested more than a third of its Advanced Manufacturing Fund into an alternative supplier, dedicated to producing the very parts Lumentum once exclusively supplied to Apple! That also means that IQE, a supplier to Lumentum, should also be expected to be facing economic issues, as Apple has strategically second-sourced its VCSELs supply. All an analyst or tech writer would need to do to know that is to search AppleInsider archives. 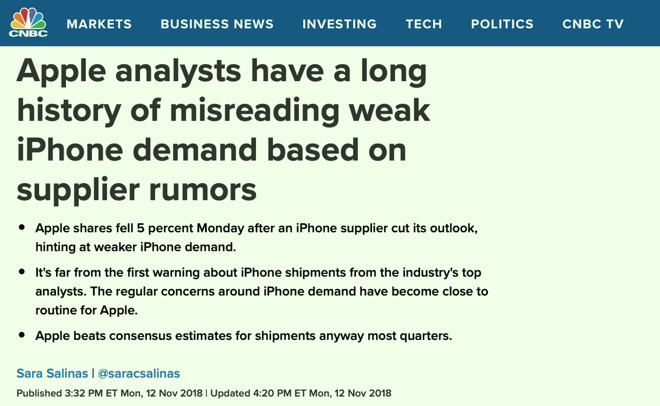 Instead, a variety of tech writers —including even the "watch out for flimsy supply chain rumors" author at CNBC —just assumed that if Lumentium was called an "iPhone supplier," any negative news related to the company must be bad news for Apple, the same way that Samsung's display troubles were falsely connected with Apple just a few months ago by Bloomberg. Is Japan Display important to Apple? Japan Display is an important supplier to Apple, and has the largest exposure of any of the above five suppliers that have recently been in the news. But Apple's impact on Japan Display's financials is neither simple nor a recent development. The company has been building the advanced LCD screens used by iPhones prior to iPhone X's move to OLED. Yet even back in early 2016 it reported a $293 million loss, even as Apple was selling iPhone 6s, which nearly matched the "super cycle" of iPhone 6 in terms of units. Losses at Japan Display didn't mean Apple wasn't selling iPhones. At the time, the company stated that it hoped Apple would move to OLED soon, something it hoped might help it boost sales—even though it didn't yet have the ability to mass-produce OLED screens. Japan Display subsequently got a $636 million bailout from Japan to buy out Joled, a former merger of teams at Sony and Panasonic, with the specific intent of entering into the OLED market. But that didn't materialize in making Japan Display Apple's source for OLED panels. Instead, Apple's iPhone mix shifted from all-LCD in 2016 to last year's mix where the most popular model was iPhone X using a Samsung OLED panel, to this year where two of the three flagship models are OLED—and Japan Display is still only producing LED screens for Apple. Just as the case with Lumentum, there should be no surprise attached to the fact that a former primary supplier is now struggling to maintain its revenues as Apple moves decisively to a product mix featuring components from alternative suppliers. 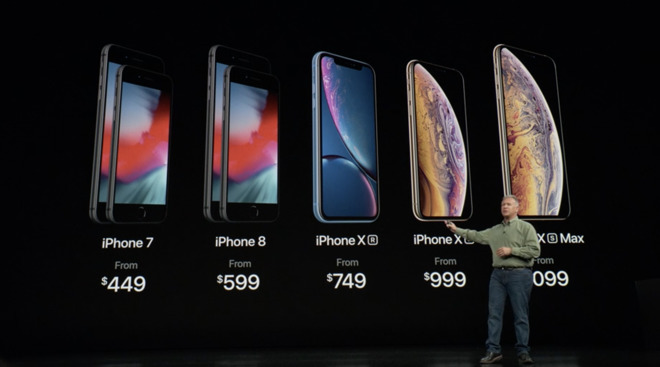 And, just as analysts can only guess what mix of iPhones Apple is selling, the problems at Japan Display don't tell us anything specific other than that—almost certainly—Apple is currently selling fewer LCD phones now that both of its high-end models are now using OLEDs. Again, this is all public information that nobody is reporting because it is so much more tantalizing —and easy —to simply compile a listicle of "Apple suppliers who are reporting problems," without knowing anything specific about Apple's very complex and constantly changing supply chain of global partners. Is AMS AG important to Apple? The other two suppliers cited most often in recent reports as having warned of profits that must be directly related to iPhone sales are AMS and Qorvo. But as with the other suppliers above, they are not exclusive component makers to Apple. AMS has long produced the Ambient Light Sensor used by Apple in iPhones, but it also supplies Samsung with ASL components for its Galaxy S9 and previous models. 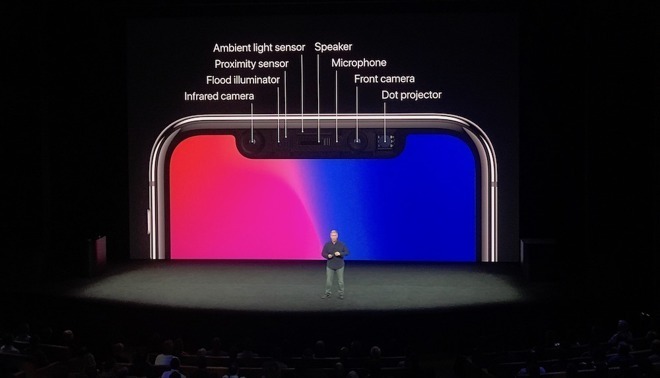 Apple requires a higher quality ASL than Samsung uses, and Apple pairs the AMS part with a separate proximity sensor (and on Face ID modes, a "near-infrared imaging" flood illuminator) built by STMicroelectronics. Samsung uses a combined AMS part that works as both an ALS and proximity sensor. AMS also supplies chips used in other products, including Apple Watch Series 4. That helps to highlight how the vague and simplistic correlations between a supplier and iPhone production are completely meaningless. Further, if AMG got 20 percent of its revenues from Apple last year and reports issues with revenue this year, is it more likely that its problems are due to Apple not selling iPhones, or that roughly 80 percent of its business has exposure to the poorly performing smartphone industry outside of Apple, including Samsung's specifically disappointing sales of the Galaxy S9, which appear to use more AMS silicon than Apple's iPhones do? Is Qorvo important to Apple? If that sounds familiar, recall that the exact same thing played out before with Qorvo, which was branded an "iPhone supplier" in 2016 after it issued a profit warning. The reality was that Qorvo had recently formed as a merger between TriQuint Semiconductor and its former rival RF Micro Devices. TriQuint's largest customer was Apple's fab partner Foxconn, but RFMD's largest customer was Samsung—something nobody connected even as Samsung was experiencing major problems in smartphone demand, being caught between Apple's iPhone 6 and a wave of cheaper competition from China. The same simplistic "iPhone Supplier" identification was also used back and forth with audio chipmaker Cirrus. When it reported strong earnings, credit was given to its diversification away from Apple, which once made up 73 percent of its sales. Samsung then became an increasingly significant Cirrus customer, yet when Cirrus warned of a profit shortfall suddenly the company reverted to being called an "iPhone Supplier." The assumption was that Apple was to blame for Cirrus' woes, rather than the well-known issue of Samsung's poor-selling Galaxy S6, S6 Edge and Note 5, all high-end products with Cirrus chips that flopped badly enough that Samsung's Vice Chairman Lee Jae Yong canned Shin Jong Kyun, the former chief of Samsung Mobile, over the group's collapse in profits that year. Meanwhile, Apple was selling the most iPhones it ever had in a "super cycle" that changed the landscape for premium smartphones, leaving Apple on top even as other phone makers watched their premium pricing power erode and their collective sales plateau. AMS, Qorvo, Cirrus and other component makers all remain tied to Samsung as the South Korean firm continues to report problems in making money in the difficult market for commodity Android phones. But when any of those companies report issues of their own, the blame is assumed to be Apple's fault, even without those companies ever naming Apple. Is Dialog important to Apple? Dialog Semiconductor is another supplier that has a long relationship with Apple for its Power Management Integrated Circuits. Dialog specifically noted to Reuters that it wasn't seeing a reduction in orders from Apple based on soft demand, despite the fact that three quarters of its business come from Apple—a much greater proportion than any of the other suppliers cited as having exposure to Apple and experiencing issues related to an "important client." The firm's chief executive Jalal Bagherli recently announced component wins with Apple for 2019 related to subsystem and charger components. Apple also just invested $600 million in a deal with Dialog, with half of that allocated to license Dialog's power management technologies and acquire more than 300 employees representing 16 percent of the firm's workforce. The rest is committed to future assets and component purchases over the next two years. Dialog warned of future issues with profitability as it transitions away from its dependence on Apple, following the sale of its power management IP and talent. Last December, Japan's Nikkei, which has proven to be perpetually wrong in its interpretations of rumors related to Apple's supply chain, claimed that Dialog would be in trouble because Apple could start building its own power management chips as early as this year. That helped to crush Dialog's share price by nearly a third, but it wasn't true either. In fact, Dialog stated that it was already working with Apple on plans for chips for use in Apple products due in 2019. None of these facts matter as long as junior level writers continue to churn out thought-free pieces that regurgitate the idea that "a scarily long list of suppliers who do some business with Apple are hurting" in a market where smartphone sales overall are shrinking and where Apple is earning virtually all the money. 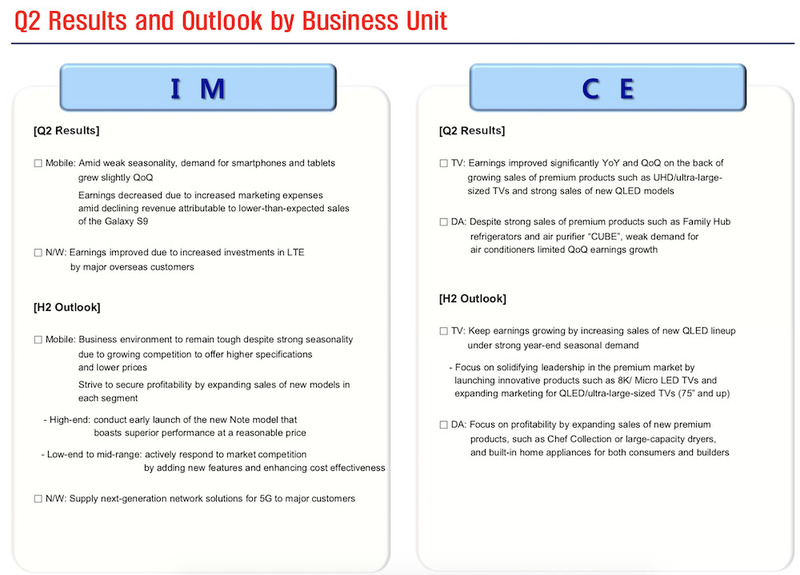 AMS, IQE and Lumentum, Japan Display and Qorvo all have solid reasons to be struggling in the consumer electronics business that have nothing to do with Apple. Dialog says it will be doing worse without Apple. Finisar is actually doing incredibly well as the supplier that appears to have taken struggling Lumentum's business from Apple. Apple lists its top 200 suppliers globally, stating that they represent "98% of procurement expenditures for materials, manufacturing, and assembly of our products." If new iPhone sales were tanking by "millions of units" representing billions of dollars in components, it wouldn't just be five smaller companies issuing profit warnings, while firms with greater exposure to Apple say that nothing appears to be wrong with demand. And the news wouldn't only be coming from unknown writers in India, a Bloomberg blogger with a terrible track record for correctly interpreting Apple's supply chain rumors, and a CNBC writer who can't take her own advice to be careful about drawing false conclusions related to thin rumors loosely connected to Apple's supply chain partners.